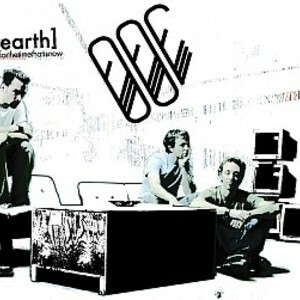 Forming from the ashes of the prominent 90's industrial-rock band 'CAGE' ; Zach Solem, Joe Price, Richard Farmer and Rik Robinson came together to form 'SlowEarth'. After years of touring and building a strong fan base within the industrial scene, the band found themselves inspired and influenced by the new sounds in the music community and evolved their own sound accordingly. Instead of sticking to a proven (if tired) formula, they diversified their electro-rock flavor by incorporating hard-hitting dance beats, searing synth leads, groovy baselines, and an eclectic blend of melody, guitar, and lyrical sensitivity. By 2001, the band had assembled a more cohesive and electro-leaning group of songs that would become their first release as SLOWEARTH, album titled 'Cage' (an homage to the original band name). As they prepared to release Cage, Solem met Ben Thomas, a local synthesizer performer and programmer with a punk rock background. Thomas was recruited to work on several remixes for the album, and at the release of Cage in 2001, he became the band?s first full-time live keyboardist and co-writer for the band's future releases. During the promotion and after tirelessly touring, Rik Robinson decided to leave the band to pursue other musical endeavors and the remaining members decided to continue as a foursome. By 2003, SlowEarth began work on their follow-up album. This time, with two programmers in the band, they further fine-tuned their distinctive sound through electronic experimentation and released the critically acclaimed electronics-heavy 'EDGE' CD during the winter of 2003. By 2005, SlowEarth had earned their place on a short list of "go-to" bands for regional festivals and national act support. In 2006, SlowEarth locked themselves within the doors of their 'Noize Lab" and melded an electronic arsenal with the live energy of rock instrumentation to create what would be their third and most anticipated studio release, entitled "Beautiful Machines." This time around, SlowEarth took the listener on a more personal journey. Released in 2007, Beautiful Machines is as aggressive and ruthless as it is both tender and vulnerable. The 12-track CD immediately set the stage for an emotional roller coaster starting with the fast-paced and catchy electronic-dance groove of "The Fix." Following that, the listener is taken through a soundscape of hard-hitting synths, big beats and experimental guitars while the charismatic front-man, Zach Solem, voices the introspection and frustrations of today's present generation. - SlowEarth's sound further evolves. In the spring of 2010, SlowEarth released a limited quantity double-CD that they aptly titled VAULT which includes previously unreleased tracks and B-Sides. "VAULT" was made available for the first time during a special fan appreciation show they performed in Feb 2010 in Atlanta, GA.
With 4 successful full-length independent releases under their belts, non-stop performances, national recognition, and mounting accolades, SlowEarth has become a top contender in the music scene. Currently, SlowEarth are preparing for the release of their next full-length album tentatively titled 'CONSTRUCT' in spring 2012. In preparation for CONSTRUCT's release, SlowEarth has opted to satiate fans with a teaser EP: TASTE. This sampler includes fan-favorite electro-dance-rock songs selected from each of their four independently released albums as well as two new tracks from CONSTRUCT and one TASTE exclusive remix by the infamous Pull Out Kings.